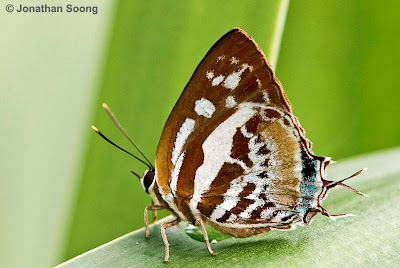 On this New Year's Eve, we feature the last of our series of Butterfly of the Month feature species for the year 2011. This is the 49th species that we have on the Butterfly of the Month series since this monthly feature was started way back in Dec 2007 with the Malay Lacewing. It's been four years already?! The year 2011 has indeed been a tumultuous year around the world. The most significant phenomenon that has affected lives all across the globe would have to be the protracted financial crisis that has plagued the US and then Europe. Businesses and the economies in the rest of the world, and in particularly in Asia which is of relevance to many of us in Singapore, were also affected. Between the twin disasters in Japan, the earthquakes in New Zealand, the floods in Thailand and a whole series of 'natural' occurrings, these events give us an indication that ol' Mother Earth is not exactly in the pink of health. A sign of the effects of global warming? Even in Singapore, where unprecedented "once-in-50-years" floods happened like every few months, engineers are scrambling to review design capacities of drainage systems. Conventional Codes of Practice may be way outdated and grossly inadequate for the deluge of water coming down from the heavens these days! At a personal front, 2011 has indeed been an eventful year, with changes in my workplace that took many of us by surprise. As the company looks forward to a new future with a new shareholder in 2012, there is optimism ahead, as we put behind us 7 years of 'colonialism' under a foreign shareholder that spent very little effort to grow the business. The potential new shareholder, of Chinese origin, can hopefully bring the company forward, with Asia, and particularly China, being at the forefront of driving the world economy in the years to come. 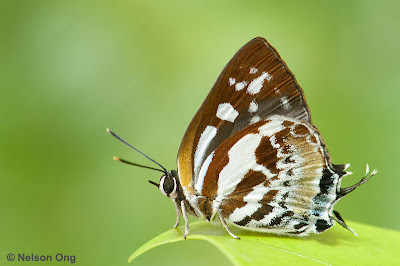 For our beloved butterflies, it has also been a good year, with several new discoveries and re-discoveries recorded in 2011. As the Singapore Checklist crossed the 300 mark in March this year, ButterflyCircle has consolidated its expertise and had been more rigourous in recording new finds with further validation by experts in the region and even abroad. In particular, many other new finds in the Lycaenidae and Hesperiidae families remain unannounced as validations continue at the scientific level behind the scenes. 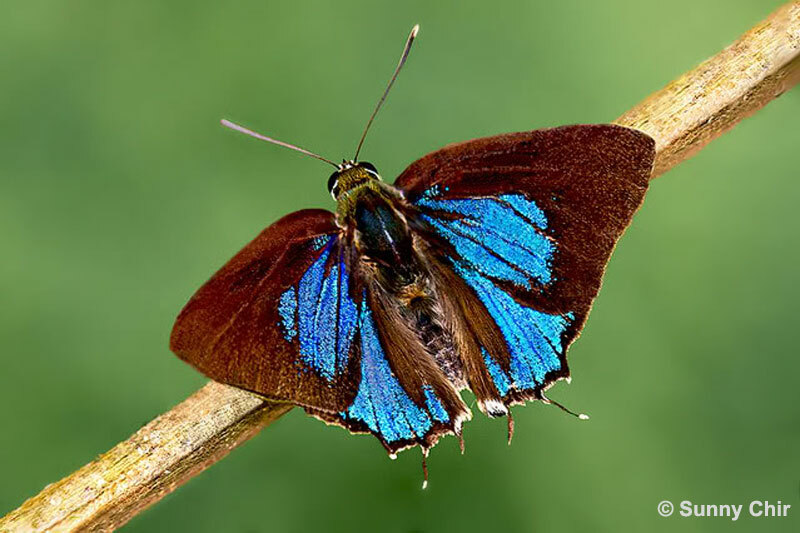 We are confident that many of these discoveries will be unveiled in the year ahead. It has also been encouraging to see more community effort in butterfly conservation projects, as government organisations like the National Parks Board moves up another gear into better nature conservation and biodiversity enhancement efforts at a strategic level. Even so, there are those who consider these efforts inadequate and too late for Singapore. However little that can be done, there is always still hope for nature, and for our flying jewels. 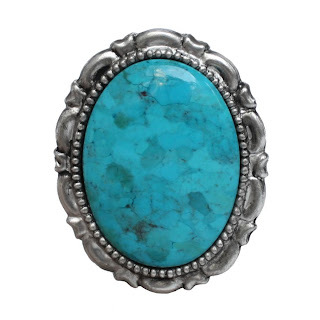 The birthstone for December is the turquoise. This precious gemstone is an opaque blue-green mineral that is a hydrous phosphate of copper and aluminium. The stone has been used in a very wide range of applications, from the usual rings, bracelets and pendants in jewellery, to the inlays of the famous burial mask of King Tutankhamen, to entire domes of Iranian palaces and mosques! 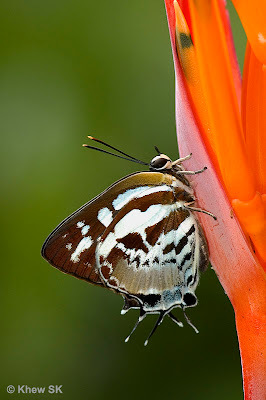 For the month of December and on this last day of 2011, we feature the elegant Lycaenid, the Scarce Silverstreak (Iraota rochana boswelliana). With a wingspan of about 36mm, this robust hairstreak is a zippy butterfly and is able to fly around at high speeds. 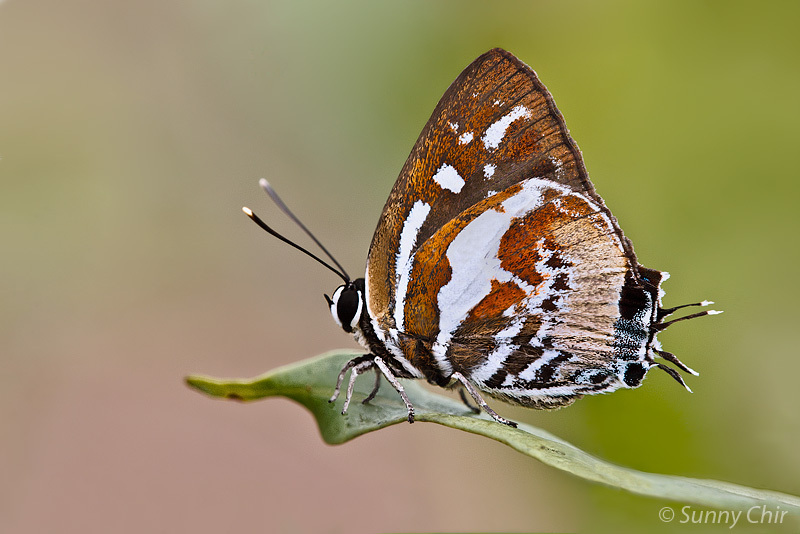 The Scarce Silverstreak is not really as scarce as its English common name suggests, although we would hardly describe the species to be very common either. Due to the fact that its caterpillar host plant, Ficus microcarpa is cultivated as a common roadside bush at many of our parks and as low barrier roadside hedges in Singapore, the butterfly is more often seen in urban areas and parks than in the nature reserves. 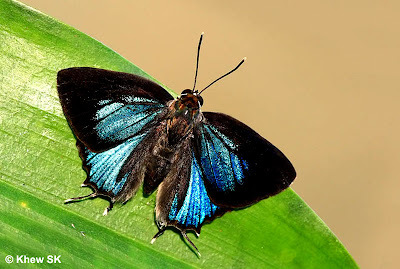 The males are a shining greenish-blue, reminescent of a pretty turquoise jewel. 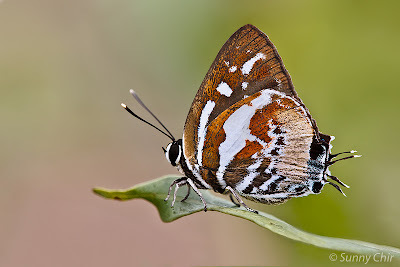 With jet-black broad apical borders, the upperside of the butterfly is a sight to behold if and when the male Scarce Silverstreak opens his wings to sunbathe (which unfortunately, is a rare occurrence). Females are a dull bronzey brown above and unmarked. 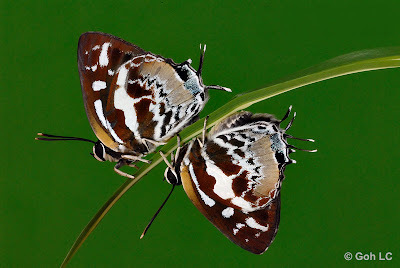 The underside of both sexes feature cryptic patterns of brown and silvery-white streaks, with dashes of blue and gold on the hindwings. There is a large black eyespot at the tornal lobe and blue-green scaling at the tornal area. 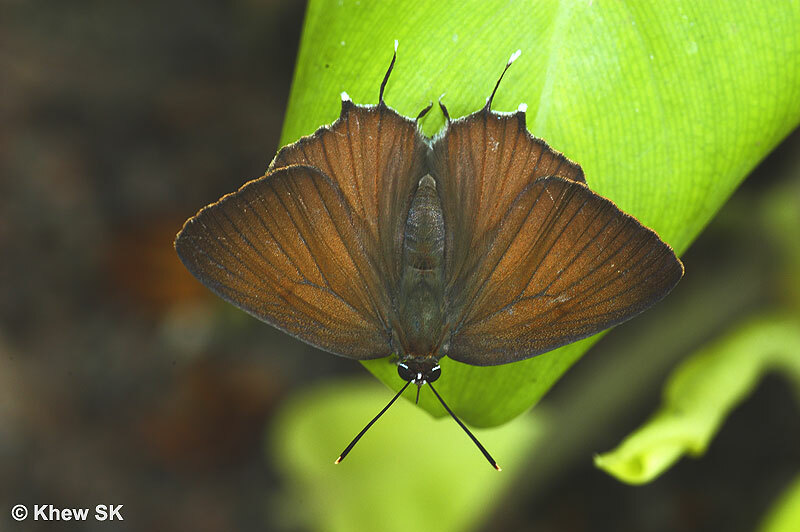 The hindwing sports 3 tails, with the one at vein 3 slightly more pronounced in the female. 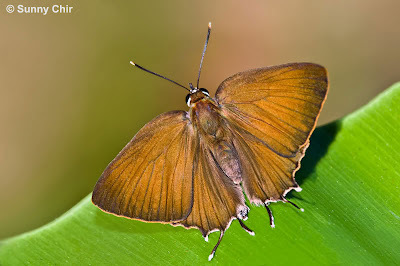 The butterfly is a rapid flyer, with females more often seen than males. 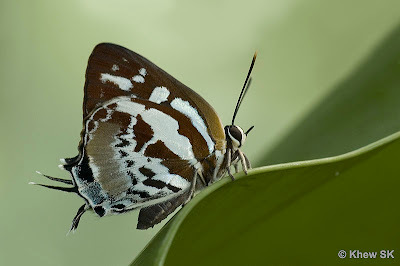 Perhaps this is more due to the fact that females are more regularly encountered when they descend from the treetop canopies to oviposit at their host plants in urban areas. 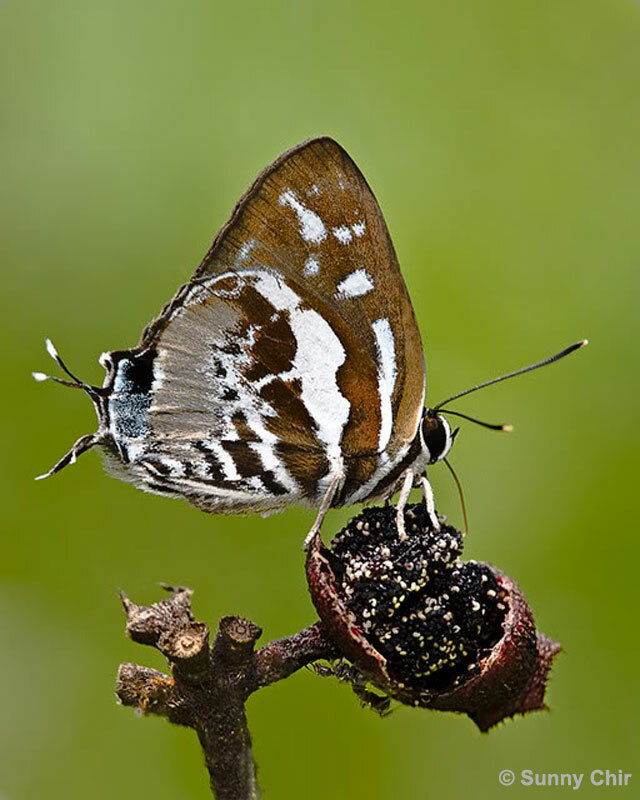 Sightings are more often made in the late mornings and early afternoons. The life history of the Scarce Silverstreak has been recorded here. The Scarce Silverstreak is quite regularly observed at the Southern Ridges in Singapore, primarily at the hillside parks at Mount Faber, Telok Blangah Hills Park and Kent Ridge Park. 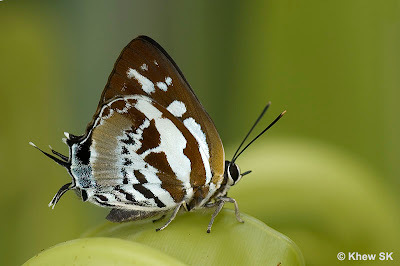 They usually stay at treetop level, descending to feed at flowers or the fruits of the Singapore Rhododendron (Melastoma malabathricum). Females tend to open their wings to sunbathe more often than the rarely-seen males. 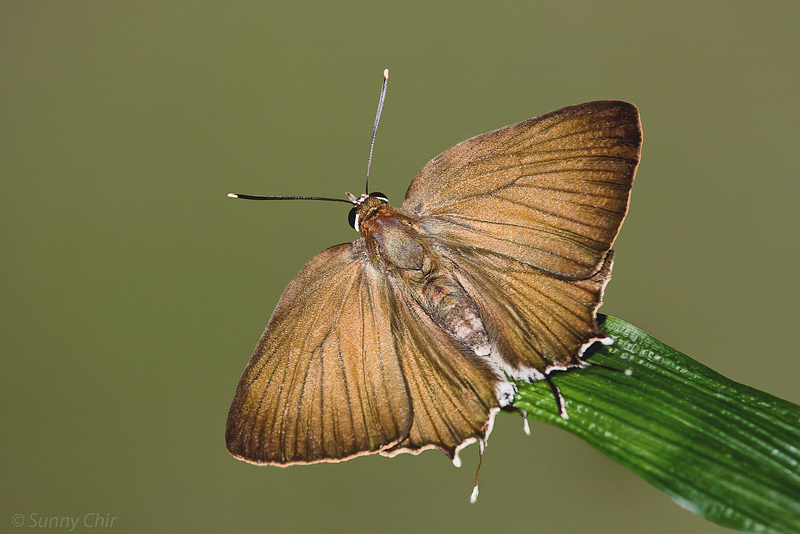 And so on this final day of December 2011, we feature this pretty Lycaenid, as we look forward to many more years of butterflying ahead. On behalf of all the members ButterflyCircle, I wish all our readers and friends all around the world a Happy New Year ahead! 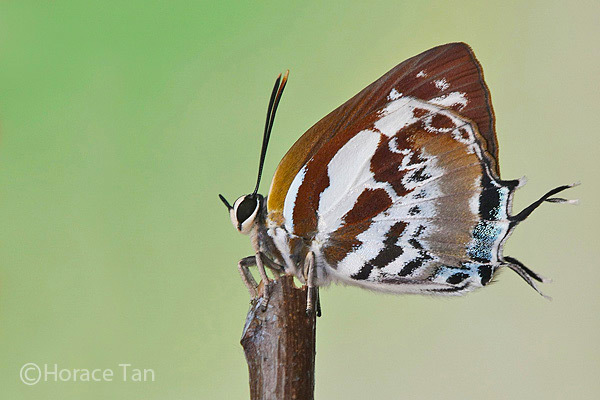 Three Cheers to our Butterflies! 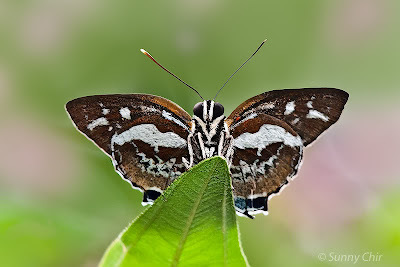 This blog article is specially dedicated to Sunny Chir, who goes by the nick 'Silverstreak' in our ButterflyCircle community. Sunny is an amazing photographer and butterfly watcher who has single-handedly delivered some of the best photographs of rare species that I've seen anywhere! 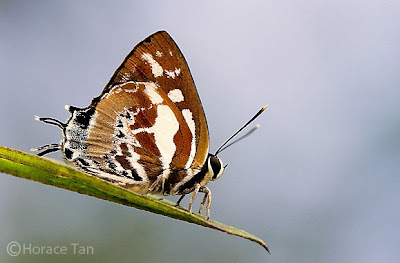 He has also contributed to many discoveries and re-discoveries to the Singapore checklist due to his untiring efforts out in the field, and exceptionally eagle-eyed observations of our butterfly fauna.